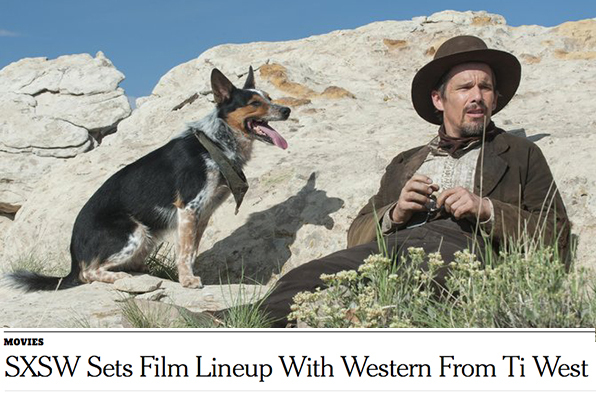 The New York Times highlights Ti West in announcement of the 89 features unspooling at SXSW this year. Fessenden appears in Ethan Hawke and John Travolta starrer, produced by GEP pals Peter Phok and Jacob Jafke for Blumhouse Productions. Also starring Jumpy, pictured!